When Ebola first arrived in my country, we weren’t too worried. Then came “sensitisation” – all the community groups and NGOs running around talking about Ebola. But many refused to believe in the danger and even tried to make politics out of it. We had a riot in Kenema, under the banner of “Ebola is not real”. Some said the government does not care about Ebola because the government is from the north and the virus is in the east (home of the opposition party). Others said it was because doctors wanted your blood. There were so many stories and no one took Ebola too seriously. 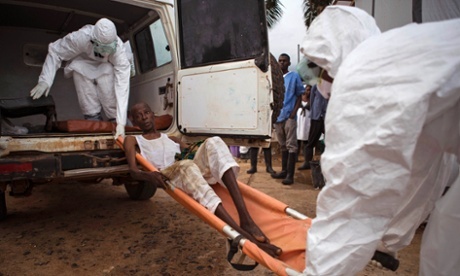 Things got much worse still when Ebola came into our community. There was a pharmacist who got ill but said he was suffering from a septic ulcer, so he never went to the hospital. We believed him because he was a medical man and maybe because we didn’t know any better. Many people came in contact with him during his illness. When he died, his corpse was washed and prepared for burial by people in the community, as is our custom. But when his death was reported to the hospital, it was found that hehad died ofEbola. After about two weeks, several people who had come in contact with him and those who washed his corpse fell ill. Out of fear, the chief called for the ambulance that came and took three people to the hospital. 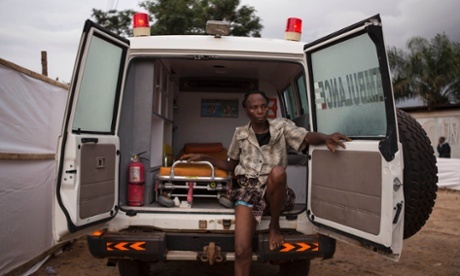 The sound of the ambulance frightened us, especially us children, and panic gripped the entire community: people believe that whoever is taken into the ambulance to the hospital will die – you so often don’t see them again. Then 16 more people, including dear Aunty, became ill and, when tested, were confirmed Ebola positive. Out of that number, only Marie, a 14-year-old girl who lives with us, and my aunt mercifully survived – or else I too would be an Ebola orphan. I guess I am the lucky one, but it is hard to see it like that. In less than two weeks, 17 people died from five households, with nine more admitted to hospital. Next we saw a group of fearfully dressed men from the hospital. They entered our home and brought out the mattresses and bedding and set them all on fire, spraying inside all the bedrooms and parlour. I watched with tears in my eyes as they did the same thing in every house where someone had died or contracted the virus. That sight was very terrifying and we all wept. Our community was quarantined from the rest of town and we were told that no one could leave or enter for 21 days. We were surrounded by police and military: it was scary as no one could buy or sell from within the “isolation”, nor could any business people come in to sell. People who attempted to sneak out, in need of food, were forced by the guards to return. Even though my aunt had been discharged from the hospital, she was too weak to go in search for food or prepare any for the family so we really suffered from hunger. No one brought us food or water for the first two weeks of isolation. In the third week, a charity group brought bulgur, oil and beans. We refused to eat the bulgur though, because it gives you a runny tummy; and if you have a runny tummy and are in an isolation zone they will definitely say you have Ebola and may take you away. So we bought gari (granular flour) throughout the three weeks because that was all my poor aunt could afford – it costs just 500Le (15 pence) for a cup that can feed three people for a meal. Even now, with all this, there is a problem with educating people about Ebola. I just met two of my friends who told me about the illness of their uncle and how they were taking care of him at home, which they should not be doing as their uncle might have the Ebola virus. Over 100 children have been orphaned in my community alone. Who is going to take care of them? How will they survive or even go back to school? Fear always grips me when friends who I know don’t regularly wash their hands with chlorinated water want to play with me. Thinking a little towards the future, how do I go back to school? Where will my aunt get money to support our education again? It is hard to depend on others. We want to depend on our own like we were learning to. Because of my aunt’s weakness and the difficulty of trading we have eaten the money there was in the business. We are suffering. If Ebola does not kill us, maybe hardship and hunger will get us down if no one helps us before Christmas. Three of my friends who were to sit the BECCE (GCSE equivalent) exams have been impregnated already and I am also under pressure to go after men in order to survive and to buy a dress for Christmas. This is what girls have to do in Sierra Leone when there is no money. It is not right, but it is normal. If this Ebola does not end soon, many more girls will get pregnant before schools reopen and that will be too bad for the future of children in this country. I should be in school now but all schools are closed indefinitely. I am worried because by the time schools reopen, there will be too many dropouts due to poverty and teenage pregnancy. 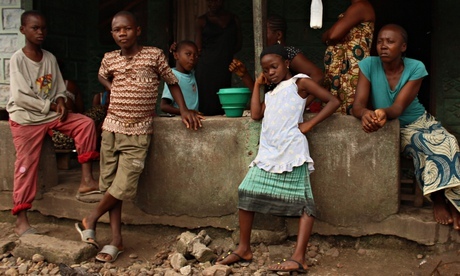 Of course, those who get Ebola and their families suffer the worst. They are provoked and the stigma keeps them worried and isolated without help. They have no food to eat and even the properties that are burned down are not replaced. But everybody in Sierra Leone is suffering because of all the other things. There is no business, no money, no food, no schools. Who will help us out of this trouble? 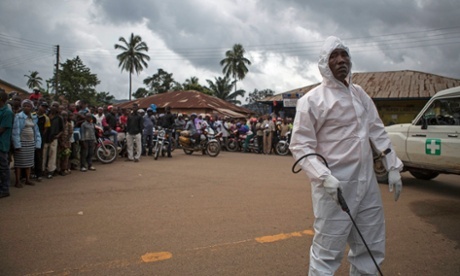 We are dying of Ebola; where’s the world? Posted on 12th October 2014 by newsafrica. This entry was posted in Africa, Ebola, Health, Sierra Leone and tagged Community organizing, Ebola, Ebola virus disease, Freetown, Kailahun, Kenema, Non-governmental organization, Sierra Leone. Bookmark the permalink.